or use the "next" "previous" buttons, or if you get lost use the "index page"
The Waterloo Road station opened on the 1st April 1900 at a cost of £3080 - it was the last proper station to open on the loop line and also the first to close. The light blue shapes show the location of Cobridge and Waterloo Road stations (although Waterloo station was not built at the time of this map). 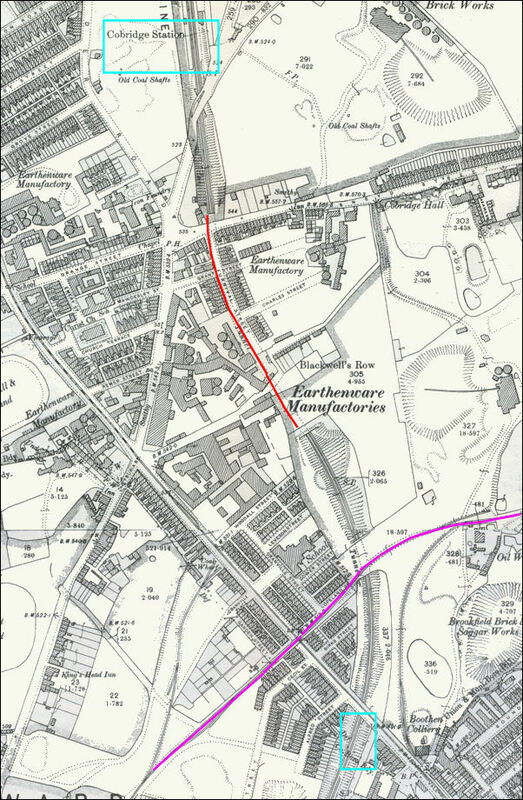 The red line is the loop line tunnel as it passed through the top of the hill at Cobridge and the purple line is the remains of the route of a mineral line which took coal from Hanley deep pit to the coking ovens at Shelton Iron & Steel Works. The cutting that the loop line ran in between Waterloo Road and Cobridge Station was 1,100 long - including the 300 yard long Cobridge Tunnel. It was 40 feet deep in some places and over 178,000 cubic yards of earth was removed (about 6,750 tons). The gradient through the tunnel was 1 in 67 climbing towards Cobridge. 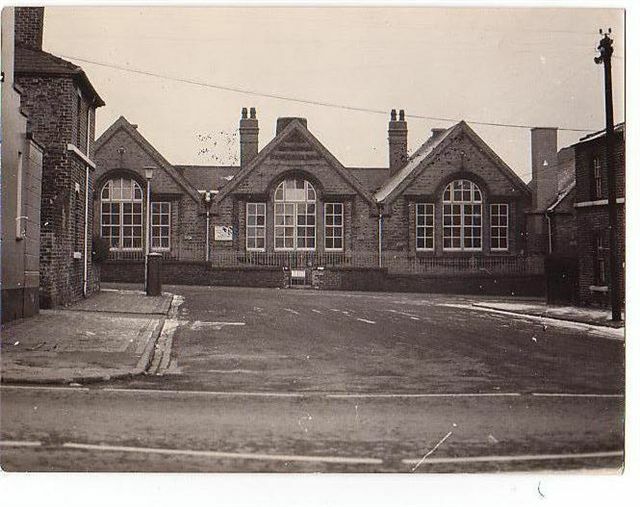 looking from Granville Square / Waterloo Road - the loop line ran in a cutting immediately behind this school which was in Granville Street. photograph looking up towards the Cobridge traffic lights at the top of Waterloo Road. the Railway Inn is on the left (now demolished), the wall and railings behind the Give Way sign is bridge where the loop line went under Waterloo Road.